On the 31st May we went to Lesley & Ray’s house for a social evening. We don’t have a club meeting on the 5th Tuesday of the month but we like to go out and have a bit of fun together. Lesley had been working hard in the garden so it was a shame that it was wet and we couldn’t go outside, but we admired the hard work through the window. We had the added pleasure of Grace’s company, while she is visiting us and Oxford University from Taiwan. We chatted about life in Taiwan and Grace’s experiences of Oxford. Lots of cheese and wine were enjoyed, and despite the upcoming Pooh Sticks Championships, we tried not to discuss too much business. Thank You Lesley for organising and arranging such a wonderful evening. 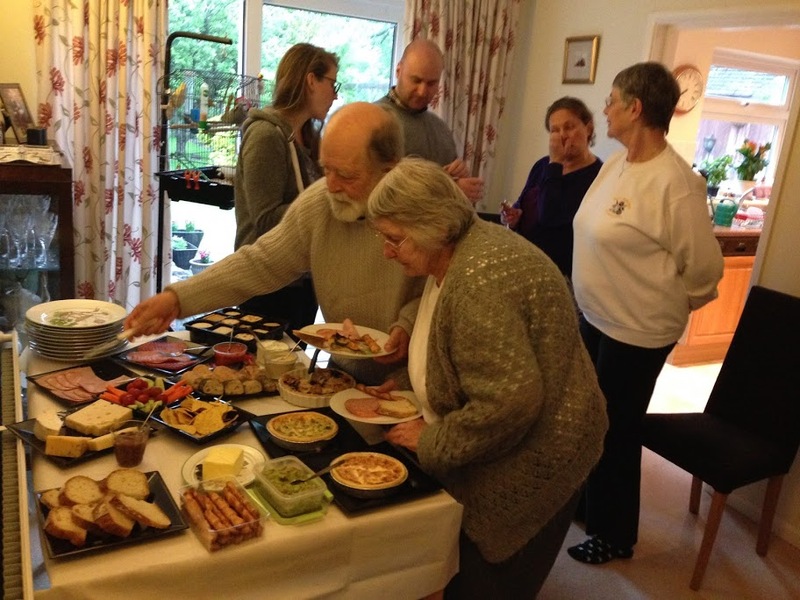 See more photos of the Cheese and Wine Party.